Aphria earnings for the company’s fiscal third quarter of 2019 has APHA stock falling on Monday. Aphria (NYSE:APHA) starts off the earnings report for its fiscal third quarter of the year with losses per share of 20 Canadian cents. This is a drop from the company’s earnings per share of 8 Canadian cents from the same time last year. It was also bad news for APHA stock by missing analysts’ losses per share estimate of 4.5 Canadian cents for the quarter. Net loss reported in the Aphria earnings release comes in at C$108.21 million. This is worse off than the company’s net income of C$12.94 million reported in its fiscal third quarter of 2018. The company also notes that the cost of producing cannabis products increased from C$1.34 per gram to C$1.48 per gram during its most recent quarter. However, the price of cannabis sold per gram also increased from C$2.60 to C$3.76. While the increase in pricing may seem like a positive, overall sales numbers were down during the quarter. This had the company selling 2.64 million kilograms of cannabis during the quarter. This is a drop from the 3.41 million kilograms of cannabis sold in the same period of the year prior. Aphria earnings for its fiscal third quarter of 2019 also has it reporting revenue of C$73.58 million. This is a massive increase over the company’s revenue of $10.27 million from its fiscal third quarter of the previous year. APHA stock was down 13% as of noon Monday. 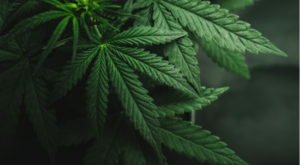 Article printed from InvestorPlace Media, https://investorplace.com/2019/04/aphria-earnings-drop-apha-stock/.